UFO SIGHTINGS DAILY: Atlantis evidence indicates that it was located in southern Spain, Nov 2018, -VIDEO- UFO Sighting News. Atlantis evidence indicates that it was located in southern Spain, Nov 2018, -VIDEO- UFO Sighting News. The Doñana National Park is under the scrutiny of researchers who have long suspected that their marshes may be submerged in mythical Atlantis. Evidence from under the marsh indicates the round disks are of intelligently made materials, that they do not make this mix of substances in nature. Either way, more tests need to be run on these objects. Tests that measure radiation, magnetism, electrical stimulation on samples, chemical composition, and more. 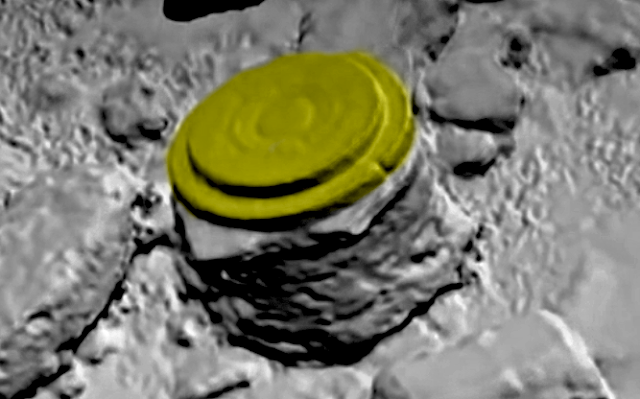 Very interesting but to me it appears to be ancient UFOs that have crash landed and become fossilised into the earth after a billion years.